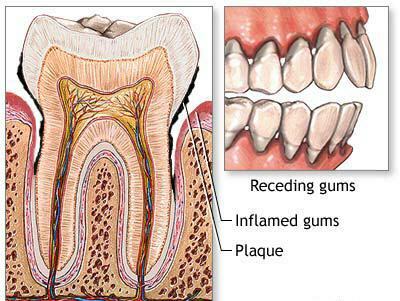 Periodontal disease is diagnosed by Dr. Sarkosh on your initial visit. A periodontal probe (small dental instrument) is gently used to measure the sulcus (pocket or space) between the tooth and the gums. The depth of a healthy sulcus measures three millimeters or less and does not bleed. The periodontal probe helps indicate if pockets are deeper than three millimeters. As periodontal disease progresses, the pockets usually get deeper. Dr. Sarkosh will use pocket depths, amount of bleeding, inflammation, tooth mobility, etc., to make a diagnosis that will fall into a category below treatment will be based on diagnosis of periodontal condition of the patient.